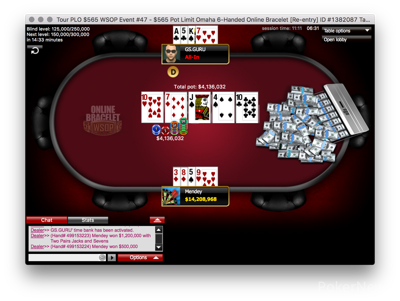 For the first-time ever, a Pot-Limit Omaha bracelet was awarded on the virtual felts of WSOP.com. Matthew 'mendey' Mendez has captured that gold bracelet in Event #47: $565 WSOP.com ONLINE Pot-Limit Omaha 6-Handed and earned a top prize worth $135,077. With all the action playing down in a single-day event, it took over 15 hours of play to decide a winner. Mendez didn't quite reach the radar until the final table, entering around the middle of the pack. He didn't have to do much then either as runner-up, Marton 'GS.GURU' Czuczor, did all the work. 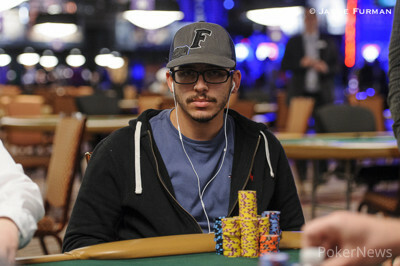 Mendez overcame a significant chip disadvantage once heads-up and didn't let up until the last card came off the deck. With a total of 1,223 entries, 657 unique with 566 re-entries, the field created a prize pool worth $635,960. The top 99 spots got paid and the field reached the money about seven hours in. 'Perdente17' bubbled after seven hands of hand-for-hand play in Level 20. The only notable player to be confirmed in the field during play was Scott 'BigRiskky' Clements. 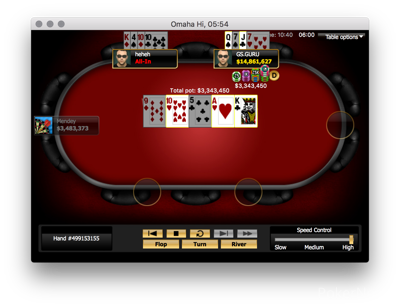 Clements was multi-tabling the online PLO event while simultaneously grinding Event #46: $2,500 Mixed Omaha Hi-Lo 8 or Better/Seven Card Stud Hi-Lo 8 or Better at the Rio. Clements didn't have much luck on the live felt but busted in 18th place for $4,451 to ease a little of the pain on the day. Once the field was reduced to two tables it wasn't long before the final six players converged to one with James 'VintageATL' Picolo, Brandon 'sh1tb1rd' Shane, Gordon 'Veilleux' Vayo, Nicholas 'illari' Baris, and Brett 'CALLMERICKY' Barbero, all saw their bracelet hopes dashed. Ao 'Maimai1990' Chen went into the final table as the shortest stack and was only able to last about eight minutes. After losing the majority of their stack moments before, Chen got it in in a three-way pot and wasn't able to make a hand falling to Alex '3shotwonder' Smith's flush. Play continued five-handed for the better part of three levels before the next short-stack was claimed. Ankush 'rickrosstheb' Mandavia had been quite short during that time and did manage to double through Czuczor. Unfortunately for Mandavia, Czuczor would come back for all of it soon after when the two got it in preflop and he cracked Mandavia's two kings with ace-queen. Another two levels went by before Alex '3shotwonder' Smith saw their stack be swallowed up by Czuczor. 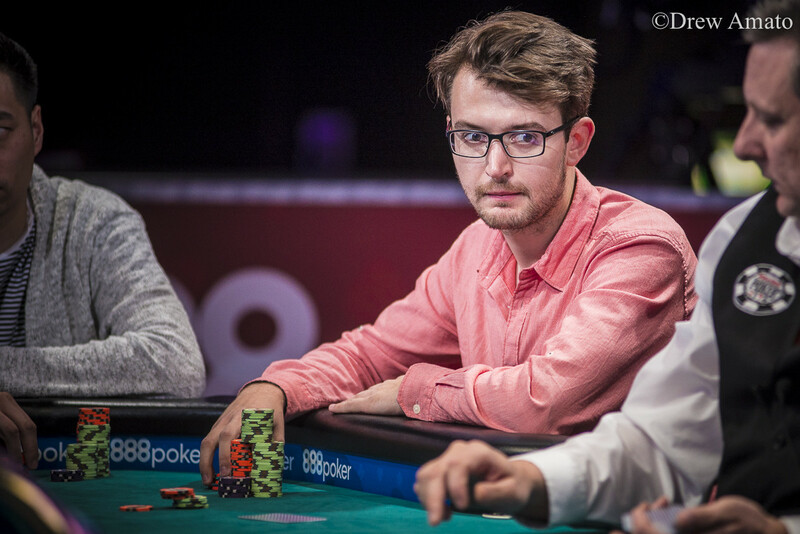 Smith shoved preflop with just a few big blinds and couldn't catch up to exit in fourth place. Czuczor kept the heater going and moments later set up a heads-up battle after getting the best of Anthony 'heheh' Zinno. Zinno got it in good for a sizeable pot flopping a set of tens but Czuczor wasn't going to be denied. A backdoor straight would seal the deal for Zinno in third place. 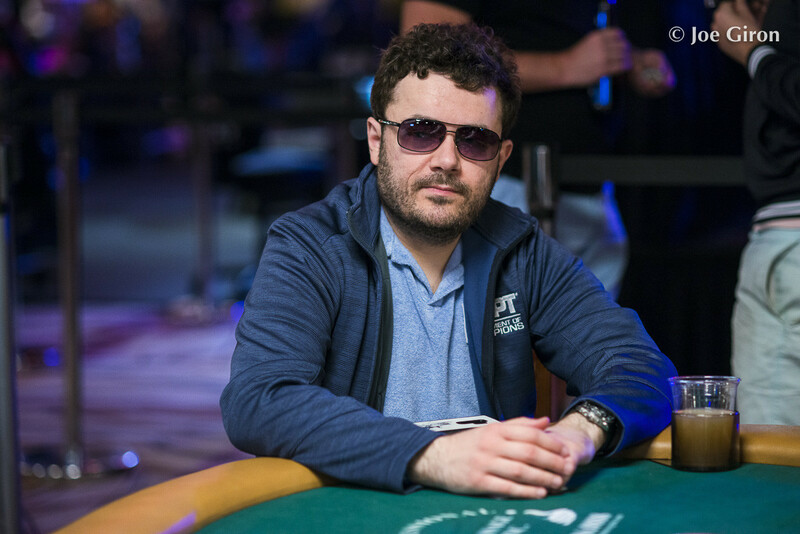 Czuczor started the heads-up battle with a 3.5:1 chip lead over Mendez. The lead wouldn't last long as 'Mendey' won two back-to-back monster pots with flushes to double up twice in a row and take over the lead. Mendez just continued to pull away until finally, he was able to set a trap and have Czuczor drawing thin. After Czuczor opened, Mendez flatted from the big blind and check-called a shove from Czuczor having flopped a straight. Czuczor whiffed on his draws and Mendez dragged in a pot for all of the chips. There is still a lot of the 2018 World Series of Poker to come. Stay tuned to the PokerNews blog for all the latest news and event along with live coverage from the PokerNew Live Reporting Team capturing the action from you favorite events. 'GS.GURU' opened to 750,000 on the button and 'Mendey' defended their big blind. The flop came down and 'Mendey' check-called a jam worth 1,300,000 to put the tournament on the line. 'GS.GURU' was in big trouble with 'Mendey' flopping a straight and no help was coming as a run out ended 'GS.GURU's hopes in second place. 'GS.GURU' earned $82,865 for the runner-up finish while 'Mendey is the Event #47 gold bracelet champion and $135,077 richer. 'GS.GURU' moved all in on the flop of a flop with the and was at risk up against the of 'Mendey'. The board ran out and 'GS.GURU' made a straight to stay alive. After making a straight flush and doubling through 'GS.GURU' when they made the nut flush, 'Mendey' is on the brink of victory, making another club-flush the very next hand. 'GS.GURU' opened to 400,000 on the button and 'heheh' called from the big blind. The flop came down and 'heheh check-shoved for 1,227,000 on 'GS.GURU' who made the call to put them at risk. 'heheh' had flopped a set of tens with the but needed to fade 'GS.GURU's . The board didn' t get any better for 'heheh' who saw the on the turn give more outs to their opponent and finally the completed a straight for 'GS.GURU' who busted 'heheh' in third place.